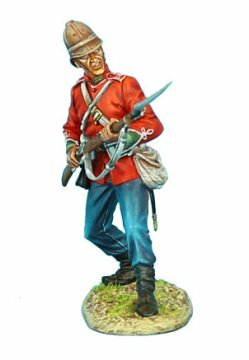 We are extremely pleased to present First Legion's Anglo-Zulu War figure range. Part of a larger plan to cover the wars of the British Empire, First Legion launched the range with the iconic British 24th Regiment of Foot. Elements of the regiment were heavily engaged in the desperate and heroic defense at Rorke's Drift where less than 150 British soldiers held off a Zulu force numbering close to 4,000. The 24th Foot were awarded more Victoria Crosses--the highest military honor awarded by the British than any other single regiment in a single action in British military history for this action. Around the same time, the bulk of the regiment was decimated at the Battle of Isandlwana where overconfidence led to the annihilation of the British and allied forces. Stunning sculpting and hand painting is First Legion's hallmark, and these wonderful new figures do not disappoint. These toy soldiers can be used in a wide variety of dramatic displays. 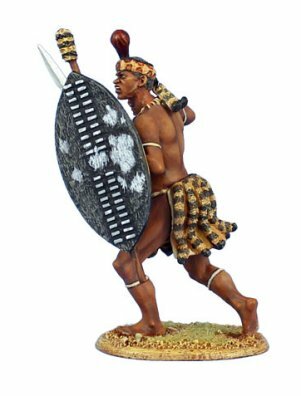 View our selection of First Legion's Anglo-Zulu War painted metal figures below!